I have to admit, I grew up reading fantasy novels. My biological dad got me hooked on them. None of them were Christian and they drew me into a world that wasn't good. 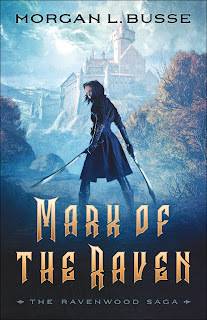 Finding books like Mark of the Raven has been so refreshing, and ones I can enjoy with my sons, I've been able to dive back in and enjoy this genre again! When I was given the opportunity to read the book for a review, I was in. Besides, look at that cover! Who can resist?! 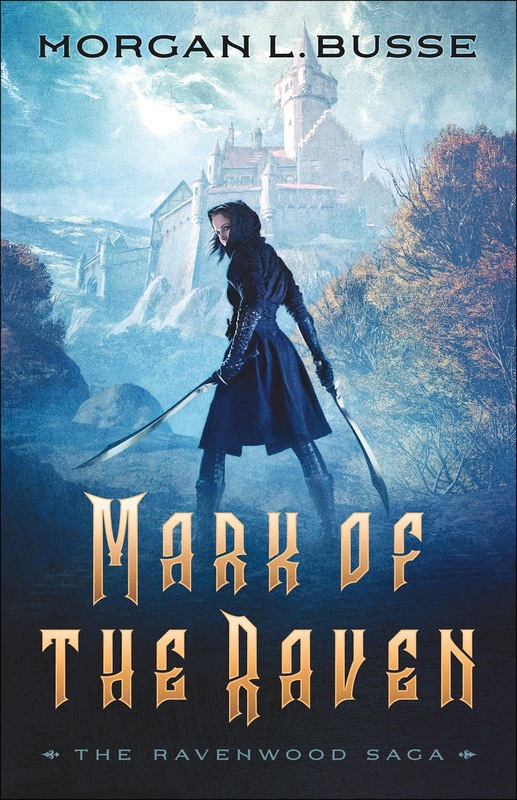 Mark of the Raven starts off by diving right into Selene's life. Her "gift" comes to her almost immediately and wow, it sounds like something I would certainly pass on experiencing. The author gives great detail on how it fills her. We also meet Selene's sister Amara, who takes sibling rivalry very seriously. There are seven Great Houses that we meet as the book progresses. I really like the introduction to each of them as we get to understand them a bit better. I do have my favorite house (or at least a house I'd like to get to know better). Grand Lady Bryren made quite the impact on me during the House gathering. As the reader, we don't get to experience all of their gifts, but we do see how Damien from House Maris can use his! As Lady Selene grows in her understanding of her powerful gift, a gift that's even more than her mother's, she has to figure out how she's going to use it. Her mother and the Dark Lady seem to have plans for her powers which she isn't quite sure of! She definitely feels torn. When she tries to close her heart off to how she feels about using her gifts, I kind of get the sense she's trying to channel Elsa from Frozen. Selene doesn't want to think or feel. Also I think the people in her house once refer to her as the Ice Queen? That was about the only part of the story I wasn't a fan of. I really liked the flow of the story. From watching Grand Lady Ragna trying to teach her daughter about her gifts, to learning more about Selene's father, getting to know Damien, and bringing all of the Grand Houses together, the book was fast paced. The worst part of the book was coming to the end. The end was such an epic cliff hanger, I was kind of upset that I read the book before book 2 was coming out. hahahaha I mean, seriously, the ending will absolutely hoping the author will be inspired by God to write at such a great pace that book 2 will come out months before expected. 😂 Thankfully we only have to wait until April of next year! My son is currently reading it, and I'm excited to be able to talk to him about it when he's finished! Morgan L. Busse (www.morganlbusse.com) is a writer by day and a mother by night. She is the author of the Follower of the Word series and the new steampunk series The Soul Chronicles. Her debut novel, Daughter of Light, was a Christy and Carol Award finalist. During her spare time she enjoys playing games, taking long walks, and dreaming about her next novel. She and her family live in Bloomington, Illinois.